When using internet browsers and anti-virus software, you are encouraged to use the latest version. 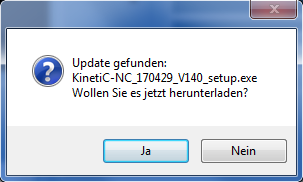 However, we explicitly recommend an update ONLY when it is strictly necessary, e.g. if an urgent problem has to be resolved or you really need a feature of the latest update. Do not forget to back up your work before undertaking an update Carry out a functionality test after you have carried out the update before you work on expensive pieces, to prevent any unexpected functionality. As long as the computer has an internet connection, you will be informed of the availability of any new versions of the program in a „Messages“ window when you start up the program. Before an update is commenced, it is strongly recommended that you control your settings. This is described in the „How to carry out a back-up“ chapter. The Update Process can be commenced using the Menu/Update. Select a place on your computer which will be easy to find again to Save the Update. Your Desktop or the Download folder is ideal. Enter a name for the file which you will easily remember, e.g. Set up. When you confirm the entry by pressing save, the progress dialogue box will open and display the progress of the download. If the download was successful, you will be informed. If the download was not successful, start the process from the beginning once more. 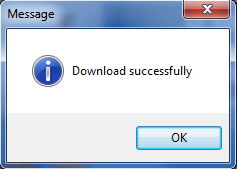 After the download, an information dialogue box will open demonstrating the precise path of where the installation file is saved. 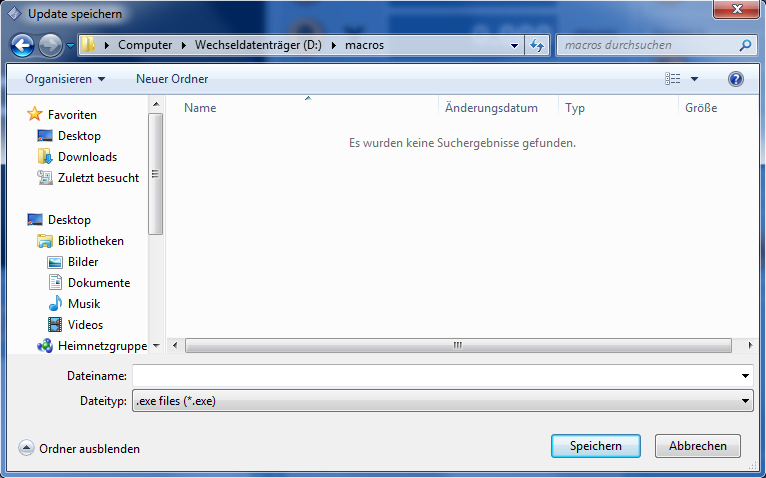 Now end the program and install the update where you (in this example) start the „D:macrossetup.exe“. Follow the instructions to install the software and note the „Install Update“ section.